The interdisciplinary field of materials science, also commonly termed materials science and engineering is the design and discovery of new materials, particularly solids. The intellectual origins of materials science stem from the Enlightenment, when researchers began to use analytical thinking from chemistry, physics, and engineering to understand ancient, phenomenological observations in metallurgy and mineralogy. Materials science still incorporates elements of physics, chemistry, and engineering. As such, the field was long considered by academic institutions as a sub-field of these related fields. Beginning in the 1940s, materials science began to be more widely recognized as a specific and distinct field of science and engineering, and major technical universities around the world created dedicated schools of the study, within either the Science or Engineering schools, hence the naming. Materials science is a syncretic discipline hybridizing metallurgy, ceramics, solid-state physics, and chemistry. It is the first example of a new academic discipline emerging by fusion rather than fission. Many of the most pressing scientific problems humans currently face are due to the limits of the materials that are available and how they are used. Thus, breakthroughs in materials science are likely to affect the future of technology significantly. 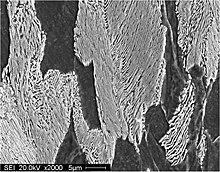 Materials scientists emphasize understanding how the history of a material (its processing) influences its structure, and thus the material's properties and performance. The understanding of processing-structure-properties relationships is called the § materials paradigm. This paradigm is used to advance understanding in a variety of research areas, including nanotechnology, biomaterials, and metallurgy. Materials science is also an important part of forensic engineering and failure analysis – investigating materials, products, structures or components which fail or do not function as intended, causing personal injury or damage to property. Such investigations are key to understanding, for example, the causes of various aviation accidents and incidents. The material of choice of a given era is often a defining point. 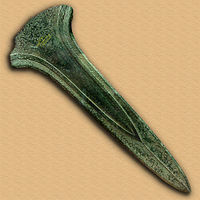 Phrases such as Stone Age, Bronze Age, Iron Age, and Steel Age are historic, if arbitrary examples. Originally deriving from the manufacture of ceramics and its putative derivative metallurgy, materials science is one of the oldest forms of engineering and applied science. Modern materials science evolved directly from metallurgy, which itself evolved from mining and (likely) ceramics and earlier from the use of fire. A major breakthrough in the understanding of materials occurred in the late 19th century, when the American scientist Josiah Willard Gibbs demonstrated that the thermodynamic properties related to atomic structure in various phases are related to the physical properties of a material. Important elements of modern materials science are a product of the space race: the understanding and engineering of the metallic alloys, and silica and carbon materials, used in building space vehicles enabling the exploration of space. Materials science has driven, and been driven by, the development of revolutionary technologies such as rubbers, plastics, semiconductors, and biomaterials. Before the 1960s (and in some cases decades after), many eventual materials science departments were metallurgy or ceramics engineering departments, reflecting the 19th and early 20th century emphasis on metals and ceramics. The growth of materials science in the United States was catalyzed in part by the Advanced Research Projects Agency, which funded a series of university-hosted laboratories in the early 1960s "to expand the national program of basic research and training in the materials sciences." The field has since broadened to include every class of materials, including ceramics, polymers, semiconductors, magnetic materials, biomaterials, and nanomaterials, generally classified into three distinct groups: ceramics, metals, and polymers. The prominent change in materials science during the recent decades is active usage of computer simulations to find new materials, predict properties, and understand phenomena. A material is defined as a substance (most often a solid, but other condensed phases can be included) that is intended to be used for certain applications. There are a myriad of materials around us—they can be found in anything from buildings to spacecraft. Materials can generally be further divided into two classes: crystalline and non-crystalline. The traditional examples of materials are metals, semiconductors, ceramics and polymers. New and advanced materials that are being developed include nanomaterials, biomaterials, and energy materials to name a few. The basis of materials science involves studying the structure of materials, and relating them to their properties. Once a materials scientist knows about this structure-property correlation, they can then go on to study the relative performance of a material in a given application. The major determinants of the structure of a material and thus of its properties are its constituent chemical elements and the way in which it has been processed into its final form. These characteristics, taken together and related through the laws of thermodynamics and kinetics, govern a material's microstructure, and thus its properties. As mentioned above, structure is one of the most important components of the field of materials science. Materials science examines the structure of materials from the atomic scale, all the way up to the macro scale. Characterization is the way materials scientists examine the structure of a material. This involves methods such as diffraction with X-rays, electrons, or neutrons, and various forms of spectroscopy and chemical analysis such as Raman spectroscopy, energy-dispersive spectroscopy (EDS), chromatography, thermal analysis, electron microscope analysis, etc. Structure is studied at various levels, as detailed below. This deals with the atoms of the materials, and how they are arranged to give molecules, crystals, etc. Much of the electrical, magnetic and chemical properties of materials arise from this level of structure. The length scales involved are in angstroms(Å). The way in which the atoms and molecules are bonded and arranged is fundamental to studying the properties and behavior of any material. Nanostructure deals with objects and structures that are in the 1–100 nm range. In many materials, atoms or molecules agglomerate together to form objects at the nanoscale. This causes many interesting electrical, magnetic, optical, and mechanical properties. In describing nanostructures it is necessary to differentiate between the number of dimensions on the nanoscale. Nanotextured surfaces have one dimension on the nanoscale, i.e., only the thickness of the surface of an object is between 0.1 and 100 nm. Nanotubes have two dimensions on the nanoscale, i.e., the diameter of the tube is between 0.1 and 100 nm; its length could be much greater. Finally, spherical nanoparticles have three dimensions on the nanoscale, i.e., the particle is between 0.1 and 100 nm in each spatial dimension. The terms nanoparticles and ultrafine particles (UFP) often are used synonymously although UFP can reach into the micrometre range. The term 'nanostructure' is often used when referring to magnetic technology. Nanoscale structure in biology is often called ultrastructure. Materials which atoms and molecules form constituents in the nanoscale (i.e., they form nanostructure) are called nanomaterials. Nanomaterials are subject of intense research in the materials science community due to the unique properties that they exhibit. Microstructure is defined as the structure of a prepared surface or thin foil of material as revealed by a microscope above 25× magnification. It deals with objects from 100 nm to a few cm. The microstructure of a material (which can be broadly classified into metallic, polymeric, ceramic and composite) can strongly influence physical properties such as strength, toughness, ductility, hardness, corrosion resistance, high/low temperature behavior, wear resistance, and so on. Most of the traditional materials (such as metals and ceramics) are microstructured. The manufacture of a perfect crystal of a material is physically impossible. For example, any crystalline material will contain defects such as precipitates, grain boundaries (Hall–Petch relationship), vacancies, interstitial atoms or substitutional atoms. The microstructure of materials reveals these larger defects, so that they can be studied, with significant advances in simulation resulting in exponentially increasing understanding of how defects can be used to enhance material properties. Macro structure is the appearance of a material in the scale millimeters to meters—it is the structure of the material as seen with the naked eye. Crystallography is the science that examines the arrangement of atoms in crystalline solids. Crystallography is a useful tool for materials scientists. 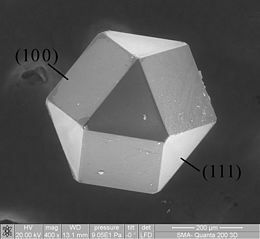 In single crystals, the effects of the crystalline arrangement of atoms is often easy to see macroscopically, because the natural shapes of crystals reflect the atomic structure. Further, physical properties are often controlled by crystalline defects. The understanding of crystal structures is an important prerequisite for understanding crystallographic defects. Mostly, materials do not occur as a single crystal, but in polycrystalline form, i.e., as an aggregate of small crystals with different orientations. Because of this, the powder diffraction method, which uses diffraction patterns of polycrystalline samples with a large number of crystals, plays an important role in structural determination. Most materials have a crystalline structure, but some important materials do not exhibit regular crystal structure. Polymers display varying degrees of crystallinity, and many are completely noncrystalline. Glass, some ceramics, and many natural materials are amorphous, not possessing any long-range order in their atomic arrangements. The study of polymers combines elements of chemical and statistical thermodynamics to give thermodynamic and mechanical, descriptions of physical properties. To obtain a full understanding of the material structure and how it relates to its properties, the materials scientist must study how the different atoms, ions and molecules are arranged and bonded to each other. This involves the study and use of quantum chemistry or quantum physics. Solid-state physics, solid-state chemistry and physical chemistry are also involved in the study of bonding and structure. Materials exhibit myriad properties, including the following. The properties of a material determine its usability and hence its engineering application. Synthesis and processing involves the creation of a material with the desired micro-nanostructure. From an engineering standpoint, a material cannot be used in industry if no economical production method for it has been developed. Thus, the processing of materials is vital to the field of materials science. Different materials require different processing or synthesis methods. For example, the processing of metals has historically been very important and is studied under the branch of materials science named physical metallurgy. Also, chemical and physical methods are also used to synthesize other materials such as polymers, ceramics, thin films, etc. As of the early 21st century, new methods are being developed to synthesize nanomaterials such as graphene. Thermodynamics is concerned with heat and temperature and their relation to energy and work. It defines macroscopic variables, such as internal energy, entropy, and pressure, that partly describe a body of matter or radiation. It states that the behavior of those variables is subject to general constraints, that are common to all materials, not the peculiar properties of particular materials. These general constraints are expressed in the four laws of thermodynamics. Thermodynamics describes the bulk behavior of the body, not the microscopic behaviors of the very large numbers of its microscopic constituents, such as molecules. The behavior of these microscopic particles is described by, and the laws of thermodynamics are derived from, statistical mechanics. The study of thermodynamics is fundamental to materials science. It forms the foundation to treat general phenomena in materials science and engineering, including chemical reactions, magnetism, polarizability, and elasticity. It also helps in the understanding of phase diagrams and phase equilibrium. Chemical kinetics is the study of the rates at which systems that are out of equilibrium change under the influence of various forces. When applied to materials science, it deals with how a material changes with time (moves from non-equilibrium to equilibrium state) due to application of a certain field. It details the rate of various processes evolving in materials including shape, size, composition and structure. Diffusion is important in the study of kinetics as this is the most common mechanism by which materials undergo change. Kinetics is essential in processing of materials because, among other things, it details how the microstructure changes with application of heat. Materials science has received much attention from researchers. In most universities, many departments ranging from physics to chemistry to chemical engineering, along with materials science departments, are involved in materials research. Research in materials science is vibrant and consists of many avenues. The following list is in no way exhaustive. It serves only to highlight certain important research areas. Nanomaterials describe, in principle, materials of which a single unit is sized (in at least one dimension) between 1 and 1000 nanometers (10−9 meter) but is usually 1–100 nm. The field of nanomaterials is loosely organized, like the traditional field of chemistry, into organic (carbon-based) nanomaterials such as fullerenes, and inorganic nanomaterials based on other elements, such as silicon. 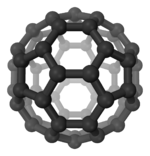 Examples of nanomaterials include fullerenes, carbon nanotubes, nanocrystals, etc. A biomaterial is any matter, surface, or construct that interacts with biological systems. The study of biomaterials is called bio materials science. It has experienced steady and strong growth over its history, with many companies investing large amounts of money into developing new products. Biomaterials science encompasses elements of medicine, biology, chemistry, tissue engineering, and materials science. Biomaterials can be derived either from nature or synthesized in a laboratory using a variety of chemical approaches using metallic components, polymers, bioceramics, or composite materials. They are often used and/or adapted for a medical application, and thus comprises whole or part of a living structure or biomedical device which performs, augments, or replaces a natural function. Such functions may be benign, like being used for a heart valve, or may be bioactive with a more interactive functionality such as hydroxylapatite coated hip implants. Biomaterials are also used every day in dental applications, surgery, and drug delivery. For example, a construct with impregnated pharmaceutical products can be placed into the body, which permits the prolonged release of a drug over an extended period of time. A biomaterial may also be an autograft, allograft or xenograft used as an organ transplant material. Semiconductors are a traditional example of these types of materials. They are materials that have properties that are intermediate between conductors and insulators. Their electrical conductivities are very sensitive to impurity concentrations, and this allows for the use of doping to achieve desirable electronic properties. Hence, semiconductors form the basis of the traditional computer. This field also includes new areas of research such as superconducting materials, spintronics, metamaterials, etc. The study of these materials involves knowledge of materials science and solid-state physics or condensed matter physics. With continuing increases in computing power, simulating the behavior of materials has become possible. This enables materials scientists to understand behavior and mechanisms, explain properties formerly poorly understood, and even to design new materials. Efforts surrounding Integrated computational materials engineering are now focusing on combining computational methods with experiments to drastically reduce the time and effort to optimize materials properties for a given application. This involves simulating materials at all length scales, using methods such as density functional theory, molecular dynamics, Monte Carlo algorithm, dislocation dynamics, Phase field models, Finite element method, and many more. Radical materials advances can drive the creation of new products or even new industries, but stable industries also employ materials scientists to make incremental improvements and troubleshoot issues with currently used materials. Industrial applications of materials science include materials design, cost-benefit tradeoffs in industrial production of materials, processing methods (casting, rolling, welding, ion implantation, crystal growth, thin-film deposition, sintering, glassblowing, etc. ), and analytic methods (characterization methods such as electron microscopy, X-ray diffraction, calorimetry, nuclear microscopy (HEFIB), Rutherford backscattering, neutron diffraction, small-angle X-ray scattering (SAXS), etc.). Besides material characterization, the material scientist or engineer also deals with extracting materials and converting them into useful forms. Thus ingot casting, foundry methods, blast furnace extraction, and electrolytic extraction are all part of the required knowledge of a materials engineer. Often the presence, absence, or variation of minute quantities of secondary elements and compounds in a bulk material will greatly affect the final properties of the materials produced. For example, steels are classified based on 1/10 and 1/100 weight percentages of the carbon and other alloying elements they contain. Thus, the extracting and purifying methods used to extract iron in a blast furnace can affect the quality of steel that is produced. Another application of material science is the structures of ceramics and glass typically associated with the most brittle materials. 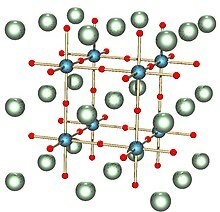 Bonding in ceramics and glasses uses covalent and ionic-covalent types with SiO2 (silica or sand) as a fundamental building block. Ceramics are as soft as clay or as hard as stone and concrete. Usually, they are crystalline in form. Most glasses contain a metal oxide fused with silica. At high temperatures used to prepare glass, the material is a viscous liquid. The structure of glass forms into an amorphous state upon cooling. Windowpanes and eyeglasses are important examples. Fibers of glass are also available. Scratch resistant Corning Gorilla Glass is a well-known example of the application of materials science to drastically improve the properties of common components. Diamond and carbon in its graphite form are considered to be ceramics. Engineering ceramics are known for their stiffness and stability under high temperatures, compression and electrical stress. Alumina, silicon carbide, and tungsten carbide are made from a fine powder of their constituents in a process of sintering with a binder. Hot pressing provides higher density material. Chemical vapor deposition can place a film of a ceramic on another material. Cermets are ceramic particles containing some metals. The wear resistance of tools is derived from cemented carbides with the metal phase of cobalt and nickel typically added to modify properties. Filaments are commonly used for reinforcement in composite materials. Another application of materials science in industry is making composite materials. These are structured materials composed of two or more macroscopic phases. Applications range from structural elements such as steel-reinforced concrete, to the thermal insulating tiles which play a key and integral role in NASA's Space Shuttle thermal protection system which is used to protect the surface of the shuttle from the heat of re-entry into the Earth's atmosphere. One example is reinforced Carbon-Carbon (RCC), the light gray material which withstands re-entry temperatures up to 1,510 °C (2,750 °F) and protects the Space Shuttle's wing leading edges and nose cap. RCC is a laminated composite material made from graphite rayon cloth and impregnated with a phenolic resin. After curing at high temperature in an autoclave, the laminate is pyrolized to convert the resin to carbon, impregnated with furfural alcohol in a vacuum chamber, and cured-pyrolized to convert the furfural alcohol to carbon. To provide oxidation resistance for reuse ability, the outer layers of the RCC are converted to silicon carbide. Other examples can be seen in the "plastic" casings of television sets, cell-phones and so on. These plastic casings are usually a composite material made up of a thermoplastic matrix such as acrylonitrile butadiene styrene (ABS) in which calcium carbonate chalk, talc, glass fibers or carbon fibers have been added for added strength, bulk, or electrostatic dispersion. These additions may be termed reinforcing fibers, or dispersants, depending on their purpose. Polymers are chemical compounds made up of a large number of identical components linked together like chains. They are an important part of materials science. Polymers are the raw materials (the resins) used to make what are commonly called plastics and rubber. Plastics and rubber are really the final product, created after one or more polymers or additives have been added to a resin during processing, which is then shaped into a final form. Plastics which have been around, and which are in current widespread use, include polyethylene, polypropylene, polyvinyl chloride (PVC), polystyrene, nylons, polyesters, acrylics, polyurethanes, and polycarbonates and also rubbers which have been around are natural rubber, styrene-butadiene rubber, chloroprene, and butadiene rubber. Plastics are generally classified as commodity, specialty and engineering plastics. Polyvinyl chloride (PVC) is widely used, inexpensive, and annual production quantities are large. It lends itself to a vast array of applications, from artificial leather to electrical insulation and cabling, packaging, and containers. Its fabrication and processing are simple and well-established. The versatility of PVC is due to the wide range of plasticisers and other additives that it accepts. The term "additives" in polymer science refers to the chemicals and compounds added to the polymer base to modify its material properties. Polycarbonate would be normally considered an engineering plastic (other examples include PEEK, ABS). Such plastics are valued for their superior strengths and other special material properties. They are usually not used for disposable applications, unlike commodity plastics. The dividing lines between the various types of plastics is not based on material but rather on their properties and applications. 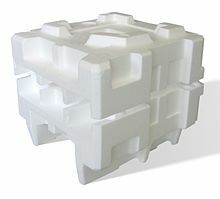 For example, polyethylene (PE) is a cheap, low friction polymer commonly used to make disposable bags for shopping and trash, and is considered a commodity plastic, whereas medium-density polyethylene (MDPE) is used for underground gas and water pipes, and another variety called ultra-high-molecular-weight polyethylene (UHMWPE) is an engineering plastic which is used extensively as the glide rails for industrial equipment and the low-friction socket in implanted hip joints. The study of metal alloys is a significant part of materials science. Of all the metallic alloys in use today, the alloys of iron (steel, stainless steel, cast iron, tool steel, alloy steels) make up the largest proportion both by quantity and commercial value. Iron alloyed with various proportions of carbon gives low, mid and high carbon steels. An iron-carbon alloy is only considered steel if the carbon level is between 0.01% and 2.00%. For the steels, the hardness and tensile strength of the steel is related to the amount of carbon present, with increasing carbon levels also leading to lower ductility and toughness. Heat treatment processes such as quenching and tempering can significantly change these properties, however. Cast Iron is defined as an iron–carbon alloy with more than 2.00% but less than 6.67% carbon. Stainless steel is defined as a regular steel alloy with greater than 10% by weight alloying content of Chromium. Nickel and Molybdenum are typically also found in stainless steels. The study of semiconductors is a significant part of materials science. A semiconductor is a material that has a resistivity between a metal and insulator. Its electronic properties can be greatly altered through intentionally introducing impurities or doping. From these semiconductor materials, things such as diodes, transistors, light-emitting diodes (LEDs), and analog and digital electric circuits can be built, making them materials of interest in industry. Semiconductor devices have replaced thermionic devices (vacuum tubes) in most applications. Semiconductor devices are manufactured both as single discrete devices and as integrated circuits (ICs), which consist of a number—from a few to millions—of devices manufactured and interconnected on a single semiconductor substrate. Of all the semiconductors in use today, silicon makes up the largest portion both by quantity and commercial value. Monocrystalline silicon is used to produce wafers used in the semiconductor and electronics industry. Second to silicon, gallium arsenide (GaAs) is the second most popular semiconductor used. Due to its higher electron mobility and saturation velocity compared to silicon, it is a material of choice for high-speed electronics applications. These superior properties are compelling reasons to use GaAs circuitry in mobile phones, satellite communications, microwave point-to-point links and higher frequency radar systems. Other semiconductor materials include germanium, silicon carbide, and gallium nitride and have various applications. Materials science evolved—starting from the 1950s—because it was recognized that to create, discover and design new materials, one had to approach it in a unified manner. Thus, materials science and engineering emerged in many ways: renaming and/or combining existing metallurgy and ceramics engineering departments; splitting from existing solid state physics research, itself growing into condensed matter physics); pulling in relatively new polymer engineering and polymer science; recombining from the previous, as well as chemistry, chemical engineering, mechanical engineering, and electrical engineering; and more. The field is inherently interdisciplinary, and the materials scientists/engineers must be aware and make use of the methods of the physicist, chemist and engineer. The field thus maintains close relationships with these fields. Also, many physicists, chemists and engineers also find themselves working in materials science. The field of materials science and engineering is important both from a scientific perspective, as well as from an engineering one. When discovering new materials, one encounters new phenomena that may not have been observed before. Hence, there is a lot of science to be discovered when working with materials. Materials science also provides a test for theories in condensed matter physics. Materials are of the utmost importance for engineers, as the usage of the appropriate materials is crucial when designing systems. As a result, materials science is an increasingly important part of an engineer's education. ^ Eddy, Matthew Daniel (2008). The Language of Mineralogy: John Walker, Chemistry and the Edinburgh Medical School 1750–1800. Ashgate. Archived from the original on 2015-09-03. ^ Smith, Cyril Stanley (1981). A Search for Structure. MIT Press. ISBN 978-0262191913. ^ Hemminger, John C. (August 2010). Science for Energy Technology: Strengthening the Link between Basic Research and Industry (Report). United States Department of Energy, Basic Energy Sciences Advisory Committee. Archived from the original on 2015-08-21. Retrieved 3 August 2018. ^ Alivisatos, Paul; Buchanan, Michelle (March 2010). Basic Research Needs for Carbon Capture: Beyond 2020 (Report). United States Department of Energy, Basic Energy Sciences Advisory Committee. Archived from the original on 2015-08-21. Retrieved 3 August 2018. ^ Cristina Buzea; Ivan Pacheco & Kevin Robbie (2007). "Nanomaterials and Nanoparticles: Sources and Toxicity". Biointerphases. 2 (4): MR17–MR71. arXiv:0801.3280. doi:10.1116/1.2815690. PMID 20419892. Archived from the original on 2012-07-03. ^ A. Navrotsky (1998). "Energetics and Crystal Chemical Systematics among Ilmenite, Lithium Niobate, and Perovskite Structures". Chem. Mater. 10 (10): 2787–2793. doi:10.1021/cm9801901. ^ Shelby, R. A.; Smith D.R. ; Shultz S.; Nemat-Nasser S.C. (2001). "Microwave transmission through a two-dimensional, isotropic, left-handed metamaterial" (PDF). Applied Physics Letters. 78 (4): 489. Bibcode:2001ApPhL..78..489S. doi:10.1063/1.1343489. Archived from the original (PDF) on June 18, 2010. ^ Smith, D. R.; Padilla, WJ; Vier, DC; Nemat-Nasser, SC; Schultz, S (2000). "Composite Medium with Simultaneously Negative Permeability and Permittivity" (PDF). Physical Review Letters. 84 (18): 4184–7. Bibcode:2000PhRvL..84.4184S. doi:10.1103/PhysRevLett.84.4184. PMID 10990641. Archived from the original (PDF) on 2010-03-18. ^ "Sto AG, Cabot Create Aerogel Insulation". Construction Digital. 15 November 2011. Archived from the original on 31 December 2011. Retrieved 18 November 2011. ^ "Is graphene a miracle material?". BBC Click. 21 May 2011. Retrieved 18 November 2011. ^ "Could graphene be the new silicon?". The Guardian. 13 November 2011. Archived from the original on 2 September 2013. Retrieved 18 November 2011. ^ "Applications of Graphene under Development". understandingnano.com. Archived from the original on 2014-09-21. ^ "The 'new age' of super materials". BBC News. 5 March 2007. Retrieved 27 April 2011. ^ "Strides in Materials, but No Invisibility Cloak". The New York Times. 8 November 2010. Archived from the original on 1 July 2017. Retrieved 21 April 2011. ^ NAE Website: Frontiers of Engineering Archived 2014-07-28 at the Wayback Machine. Nae.edu. Retrieved 22 February 2011. ^ "Carbon nanotubes used to make batteries from fabrics". BBC News. 21 January 2010. Retrieved 27 April 2011. ^ "Researchers One Step Closer to Building Synthetic Brain". Daily Tech. 25 April 2011. Archived from the original on 29 April 2011. Retrieved 27 April 2011. ^ "Pentagon Developing Shape-Shifting 'Transformers' for Battlefield". Fox News. 10 June 2009. Archived from the original on 5 February 2011. Retrieved 26 April 2011. ^ "Intel: Programmable matter takes shape". ZD Net. 22 August 2008. Retrieved 2 January 2012. ^ "'Quantum dots' to boost performance of mobile cameras". BBC News. 22 March 2010. Retrieved 16 April 2011. Ashby, Michael; Hugh Shercliff; David Cebon (2007). Materials: engineering, science, processing and design (1st ed.). Butterworth-Heinemann. ISBN 978-0-7506-8391-3. Askeland, Donald R.; Pradeep P. Phulé (2005). The Science & Engineering of Materials (5th ed.). Thomson-Engineering. ISBN 978-0-534-55396-8. Callister, Jr., William D. (2000). Materials Science and Engineering – An Introduction (5th ed.). John Wiley and Sons. ISBN 978-0-471-32013-5. Gaskell, David R. (1995). Introduction to the Thermodynamics of Materials (4th ed.). Taylor and Francis Publishing. ISBN 978-1-56032-992-3. González-Viñas, W. & Mancini, H.L. (2004). An Introduction to Materials Science. Princeton University Press. ISBN 978-0-691-07097-1. Gordon, James Edward (1984). The New Science of Strong Materials or Why You Don't Fall Through the Floor (eissue ed.). Princeton University Press. ISBN 978-0-691-02380-9. Mathews, F.L. & Rawlings, R.D. (1999). Composite Materials: Engineering and Science. Boca Raton: CRC Press. ISBN 978-0-8493-0621-1. Walker, P., ed. (1993). Chambers Dictionary of Materials Science and Technology. Chambers Publishing. ISBN 978-0-550-13249-9. Burns, G.; Glazer, A.M. (1990). Space Groups for Scientists and Engineers (2nd ed.). Boston: Academic Press, Inc. ISBN 978-0-12-145761-7. Cullity, B.D. (1978). Elements of X-Ray Diffraction (2nd ed.). Reading, Massachusetts: Addison-Wesley Publishing Company. ISBN 978-0-534-55396-8. Giacovazzo, C; Monaco HL; Viterbo D; Scordari F; Gilli G; Zanotti G; Catti M (1992). Fundamentals of Crystallography. Oxford: Oxford University Press. ISBN 978-0-19-855578-0. Green, D.J. ; Hannink, R.; Swain, M.V. (1989). Transformation Toughening of Ceramics. Boca Raton: CRC Press. ISBN 978-0-8493-6594-2. O'Keeffe, M.; Hyde, B.G. (1996). Crystal Structures; I. Patterns and Symmetry. Zeitschrift für Kristallographie. 212. Washington, DC: Mineralogical Society of America, Monograph Series. p. 899. Bibcode:1997ZK....212..899K. doi:10.1524/zkri.1997.212.12.899. ISBN 978-0-939950-40-9. Squires, G.L. (1996). Introduction to the Theory of Thermal Neutron Scattering (2nd ed.). Mineola, New York: Dover Publications Inc. ISBN 978-0-486-69447-4. Young, R.A., ed. (1993). The Rietveld Method. Oxford: Oxford University Press & International Union of Crystallography. ISBN 978-0-19-855577-3. Wikimedia Commons has media related to Materials science.